This winter has brought several changes for us. One being that after five years, we decided to take a much needed break from doing the 10 week show in AZ (AZ Fine Art Expo) and will be doing three high end art shows instead. First up is the La Quinta Art Festival March 2-5. This prestigious show takes place in the Palm Springs area and features 220 top artists. The next show is back out in the Palm Springs area, with the Indian Wells Art Show March 31-April 2. Then the weekend after that is another very high end show, Woodlands Art Festival, taking place just North of Houston at the Woodlands Park Waterway, April 7-9. We are looking forward to these three shows and what they will bring. These are a few pieces that are in the works to take to these shows. 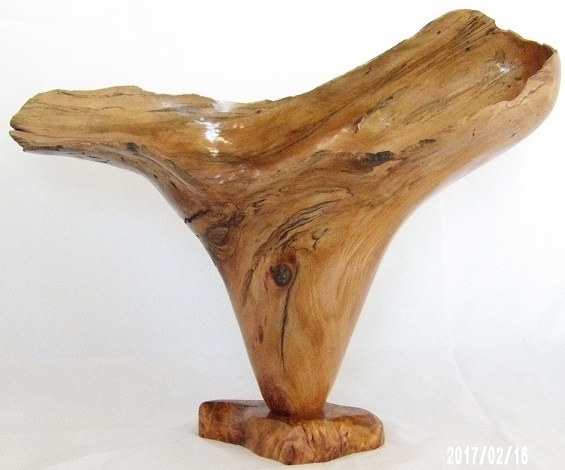 All of the logs used to create these vessels came from a storm that washed them and many other logs and debry onto a beach at Cayucos CA. These woods are Redwood and CA Cypress. 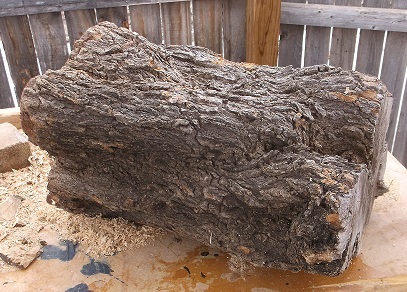 Here are pictures of some of those logs. Who knows how long these logs tumbled around in the ocean, before ending up on the beach. Now they will start their new and final life as a beautiful sculpture. We just wish we would have collected more logs. Here is one of the Redwood pieces all done. 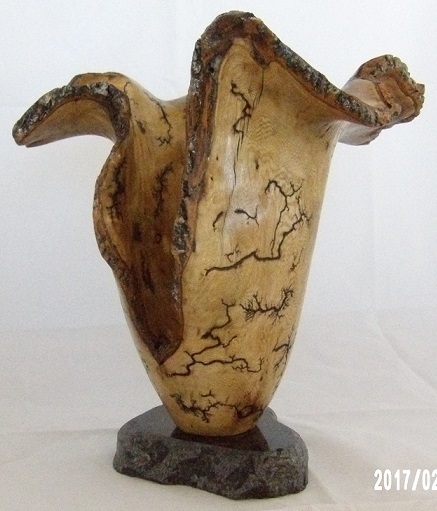 It was carved into this vase shape and stands on a cherry burl base. 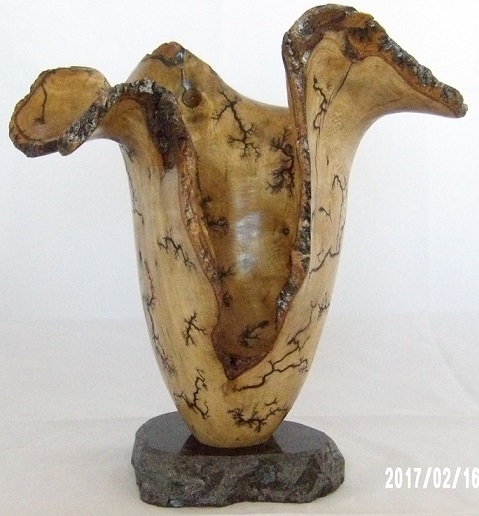 This vase shows a new technique that we just started doing, where we send electricity through the piece leaving behind a very unique pattern. This process is tricky and a little dangerous, but the end result is very cool. 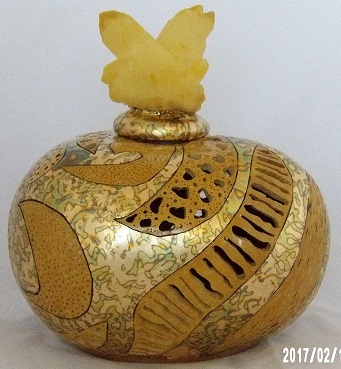 We also applied that technique to a gourd, which I then dyed a shimmer green and topped with a green crystal. The other new and exciting thing that has happened this winter is the new addition to our family. After losing our “Apollo” last March, we felt his brother “Perseus” needed some company. 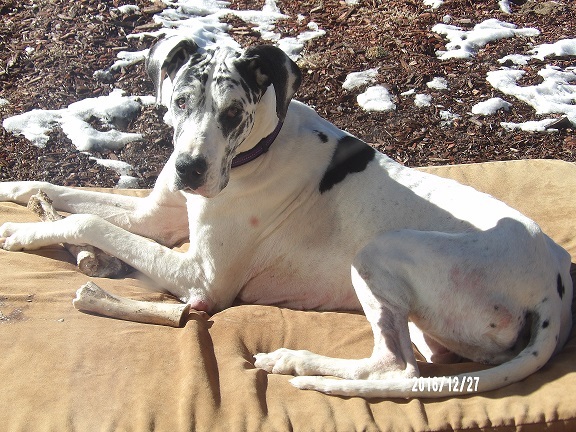 So we adopted a female Great Dane from “White Kisses Great Dane Rescue” based out of Lubbock TX. Her name is “Noelle” and she is a very sweet little girl (I say little because she is smaller than our Perseus by 25lbs) and is already a big part of our family. Here are a couple of pictures of her. How someone could give this sweet girl up, is a mystery to us. But we are all the luckier to have her. Our little girl has the cutest pigtails. It’s already started out being another busy year, getting ready for shows and making custom orders for customers. 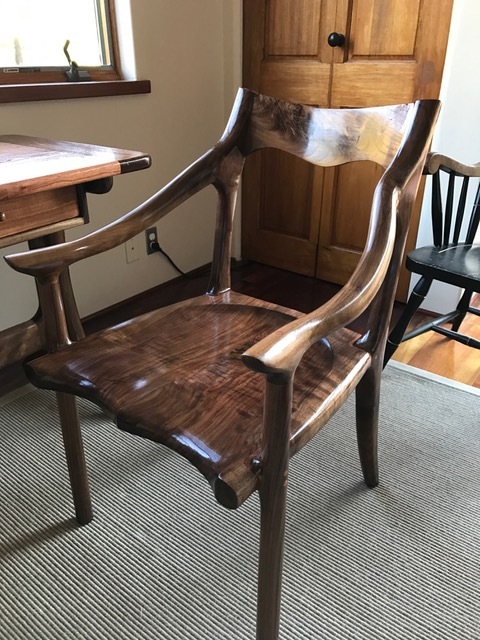 This desk and chair was one such custom order for a previous customer. They are made from black walnut and mesquite. 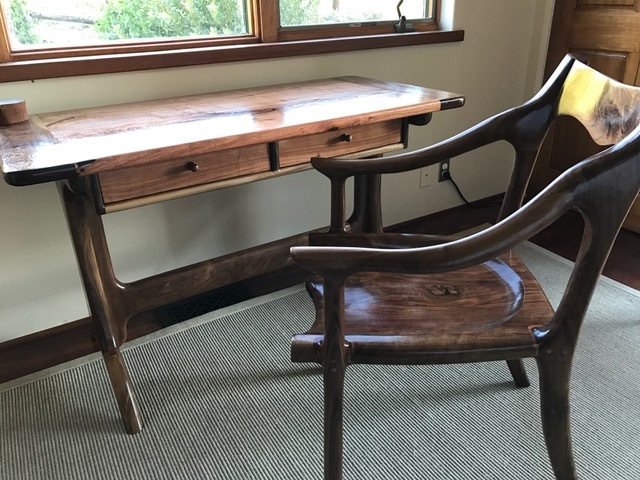 The desk is a trestle style and the chair is a low back with wrapped joints. They turned out just beautiful and look fantastic in their gorgeous home. 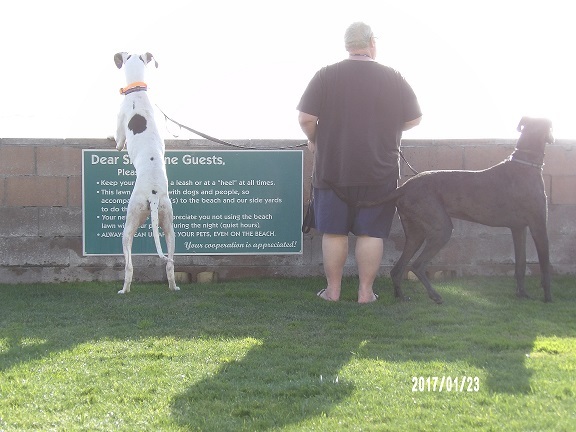 Our trip to deliver these is what took us to the beach in Cayucos CA. It was nice to mix a little business with some much needed vacation time. In my next post I will show off more of the new pieces we are currently working on for our upcoming shows and the funny antics of our two danes. 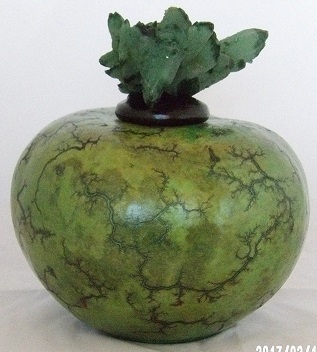 But for now here is a new gourd we just completed. It has all types of piercing and dimpling done to it, in a very unique pattern, along with variegated gold leafing and a yellow crystal. This is one of our new favorites. You are currently browsing the Shangrilawoodworks's Blog blog archives for February, 2017.